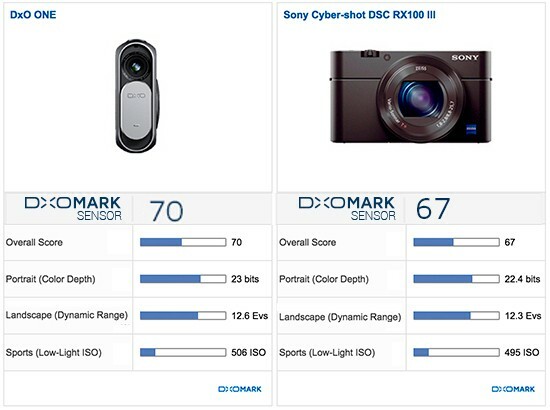 SAN FRANCISCO and PARIS, June 18, 2015 /PRNewswire/ -- DxO, a world leader in digital imaging technologies, today introduced the DxO ONE, a revolutionary camera that delivers DSLR image quality in an extremely compact size. At 3.8 oz (108 g) and 2.65" (6.9 cm) tall, the DxO ONE is so small that it easily fits in a pocket, yet it features an ultra-high quality f/1.8, 32mm equivalent aspherical lens with a variable 6-blade iris and a 1-inch 20.2MP CMOS BSI sensor capable of capturing high-resolution images even in very low light. 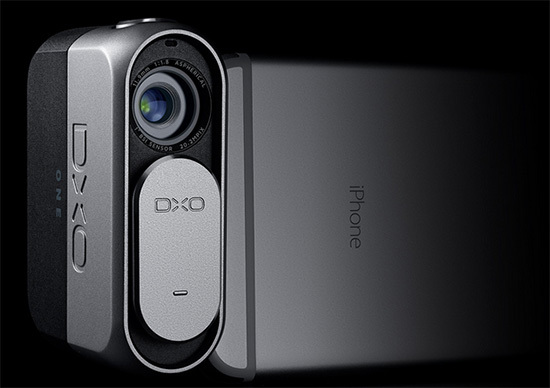 Made of high-grade aluminum, the DxO ONE is a premium camera that has been engineered with the iPhone and iPad® in mind: it attaches via the Lightning™ connector, turning the beautiful iPhone display into the camera's viewfinder. The camera swivels 60 degrees in either direction, enabling creative perspectives. 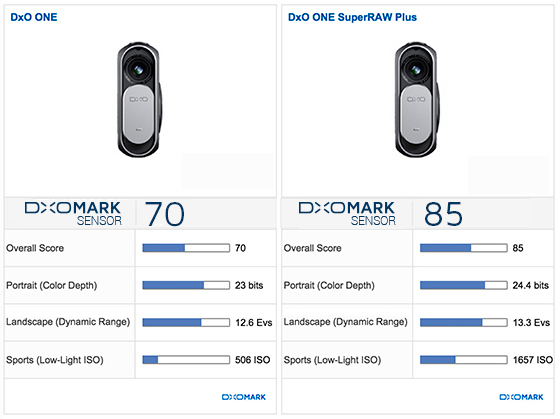 "The image quality of the DxO ONE is stunning," said Jerome Meniere, CEO and founder of DxO. "It's possible to shoot crystal-clear images under moonlight, which is incredible for a camera this small. The shallow depth of field and bokeh of the lens at f/1.8 is absolutely perfect for portrait photography." In addition to the built-in microSD™ memory card, photos or video can be automatically stored in the iOS camera roll, where they are immediately displayed on the iPhone's or iPad's beautiful high-resolution screen, and can be instantly shared to Facebook®, Instagram®, and Twitter®, leveraging the iPhone's natural connectivity. By default, the DxO ONE automatically keeps the valuable high-dynamic RAW 'digital negative' files, enabling post-production editing flexibility in RAW conversion programs like DxO OpticsPro and Adobe® Lightroom®. For the ultimate in noise-free image quality – even in very low light – users can choose to capture images in DxO's new SuperRAW format. A SuperRAW file is the result of 4 RAW frames captured in quick succession. When the DxO ONE camera is connected to a Mac or PC, the DxO Connect companion software automatically merges the four images together using the very latest in spatial and temporal noise reduction. "The DxO ONE leverages all of the imaging technologies that we've been perfecting for well over a decade," explained Frederic Guichard, DxO's Chief Image Scientist. "It brings together mobile imaging miniaturization technologies with a large 1-inch sensor and state-of-the-art software image processing." "Being image lovers at DxO, we have built the camera we dreamed of for ourselves and could not find anywhere else: uncompromised image quality always available in our pocket," concluded Jerome Meniere, CEO and founder of DxO. "We believe that, as the first truly connected camera, the DxO ONE opens a completely new era in digital imaging and we can't wait to see what incredible images photographers around the world will be able to create with it." In the US, the DxO ONE can be pre-ordered today from www.dxo.com, with shipments planned to begin in September. Pre-order and availability dates for other countries are available on DxO's website. The DxO ONE is offered at a price of $599. For a limited time, the DxO ONE comes with free licenses of two award-winning RAW image processing software, DxO OpticsPro (ELITE Edition, sold separately for $199), and DxO FilmPack (ELITE Edition, sold separately for$129), which digitally reproduces the look and feel of analog films.